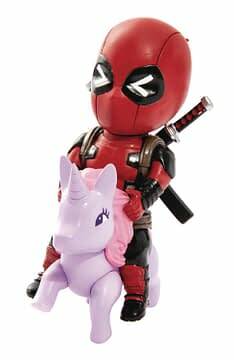 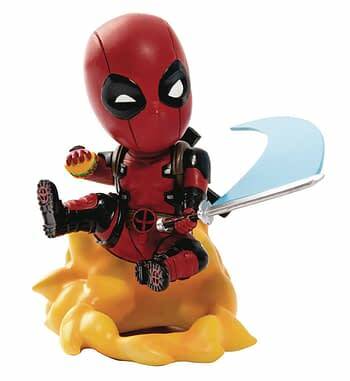 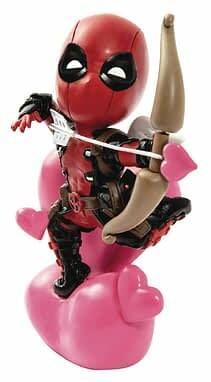 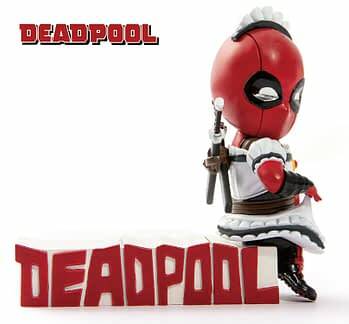 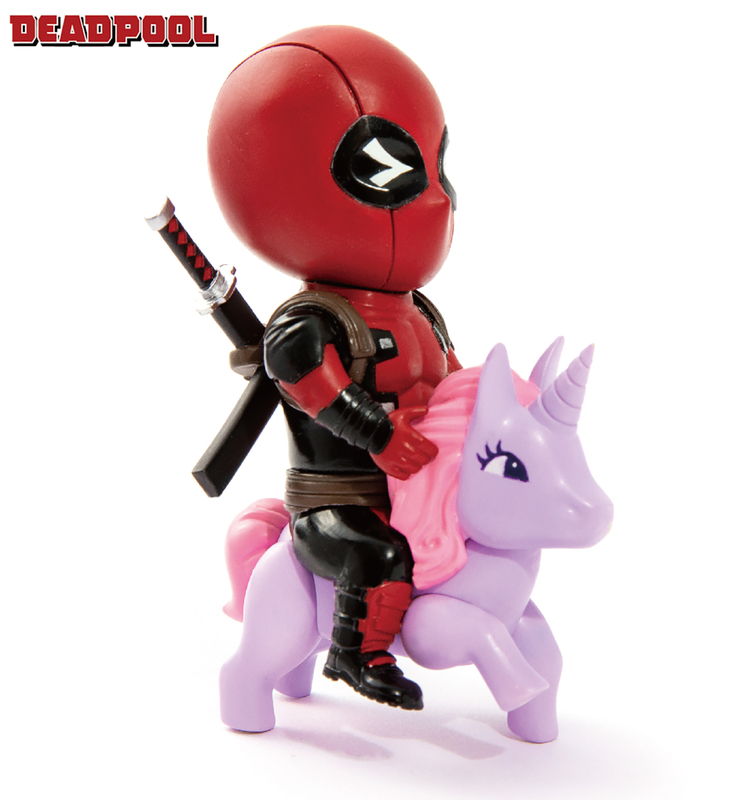 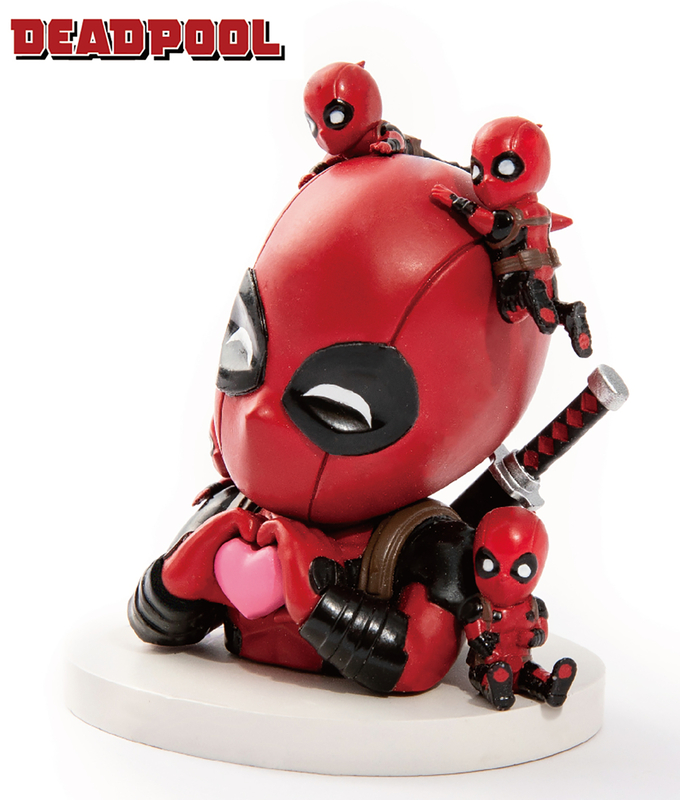 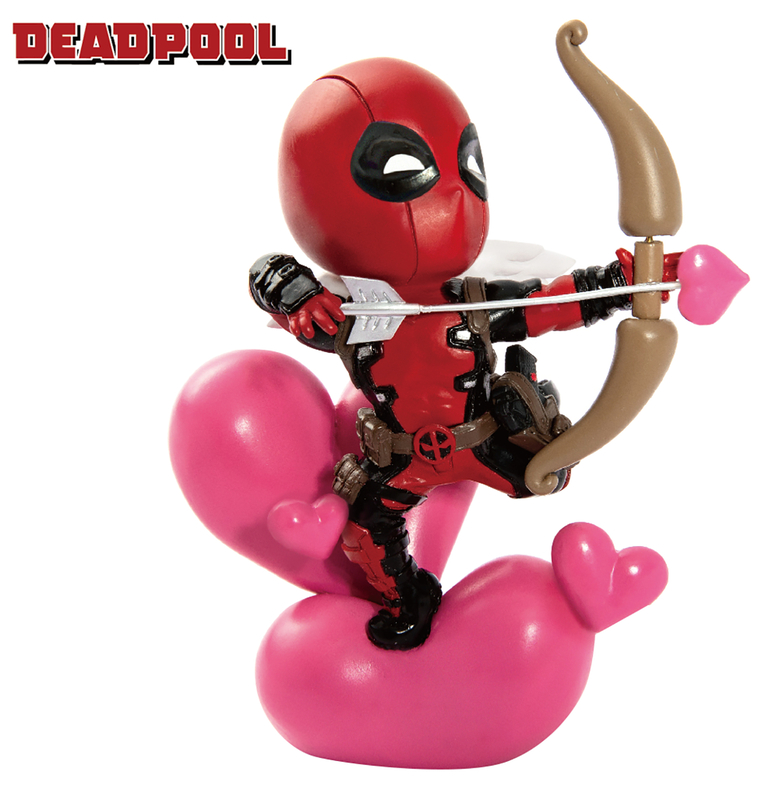 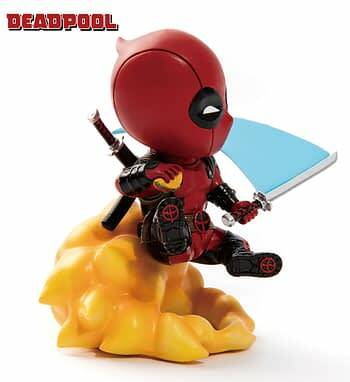 Diamond Comic Distributors is exclusively bringing a line of Beast Kingdom mini Egg Attack figures that portray Deadpool in new and interesting ways. 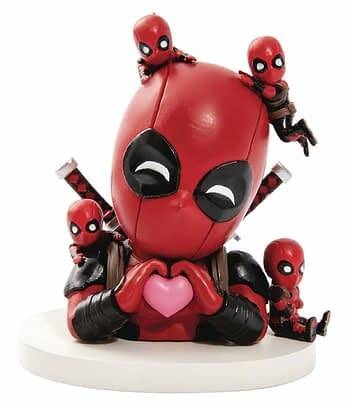 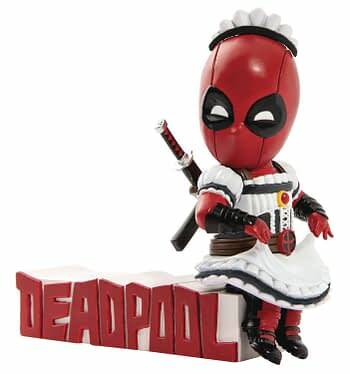 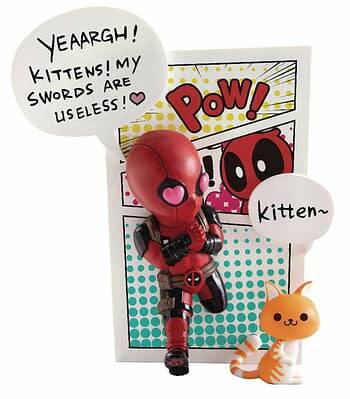 These non-articulated Deadpool figurines feature themed bases and stand about 3.5″ tall. 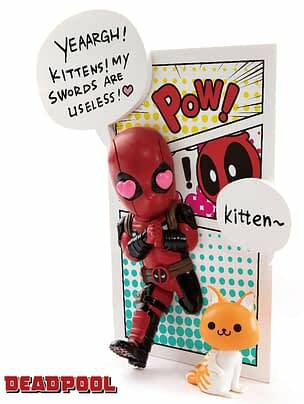 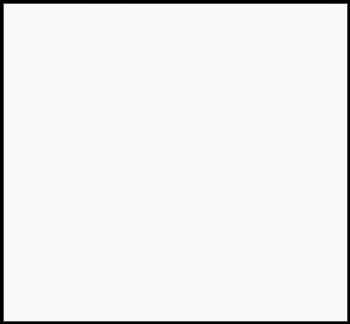 And they are… a little on the odd side.